Indian Prime Minister Narendra Modi has already attracted attention around the globe for his stylish wardrobe, but he got even bolder by donning the Pakistani national dress known as shalwar kameez. 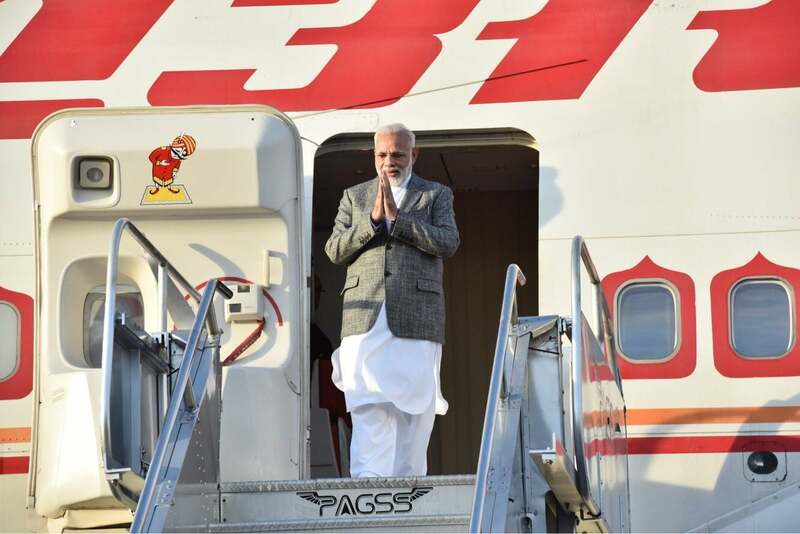 The Press Information Bureau for the Government of India tweeted a photo of Modi sporting the clothing when he arrived back in New Delhi following the World Economic Forum in Davos, Switzerland. The photo shows him wearing a shawl and sweater with the loose trousers and shirt that make up the Pakistani national dress, although Modi usually sports a kurta pajama. According to Geo TV, the last time India’s prime minister wore a shalwar kameez was when he attended the Association of Southeast Asian Nations (ASEAN) and the East Asia summit. Photos showed him wearing Pakistani national dress when he stepped off the plane in Manila, Philippines. Modi’s decision to don the national dress of his nation’s traditional enemy is not just notable because it’s a departure from his usual style. It’s also less common to see men wearing it in India, where it is often referred to as a “Pathani suit,” adds Geo TV, citing the 1985 book Indian Costumes by Arabinda Biswas. The media outlet adds that according to the 1992 book Lahore: A Sentimental Journey, the shalwar kameez was once worn by male Muslims, Hindus and Sikhs in the area west of Punjab before the Partition. However, they also wore other types of clothing as well, while the style is now commonly worn every day by men in Pakistan. The writer also states that because the Pathans used to wear only the shalwar kameez style, it ended up being identified with Pathans, especially those living in northern India. Author Vanit Nalwa wrote in her 2009 book Hari Singh Nalwa: Champion of the Khalsa that the Pathans wore what is now the Pakistani national dress in order to avoid being persecuted by Nalwa, who was the general of the Sikh Empire’s army. At the time, Sikhs often wore the dress style.